Bob and Joe’s of Havertown, PA can transport your motorcycle with the caution and care it deserves. Motorcyclists have many of the same needs as motorists when it comes to towing but that handling a motorcycle can be tricky. Our towing specialists have seen it all and are experienced in dealing with bikes. Some of our drivers are even riders themselves! 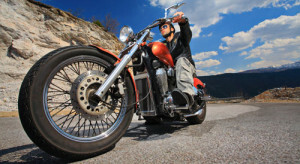 We respond to motorcycle accidents and can recover your bike quickly. We have the necessary towing equipment to get your motorcycle off the road safely and without damaging it any further. Maybe you have simply broken down? No problem we will be there in minutes to give you a lift and get your bike into the repair shop. 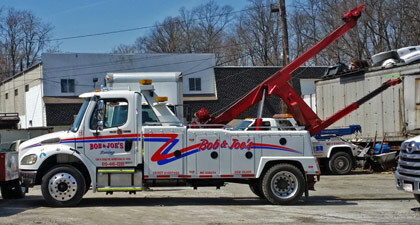 With over 40 years in the towing service industry we are specialists with the know-how to tackle any job. Call us next time you need your motorcycle towed. We can handle everything from a Vespa to a Chopper.